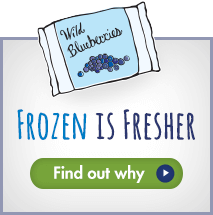 Interested in learning more about Wild Blueberries, colorful eating and the latest wellness trends? Visit these health and nutrition-related sites. SuperFoodsRx is dedicated to reversing the trend of chronic disease that results from the harmful modern diet. 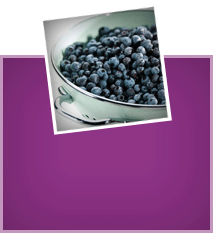 Find nutrition research, skin care tips, recipes, and information on the “superfoods” that will change your life. Fruits & Veggies More Matters, a health initiative by the Produce for Better Health Foundation, promotes the benefits associated with eating more fruits and vegetables. Find nutrition, shopping, cooking and motivation for kids about the importance of eating a colorful variety of these healthy foods. ChooseMyPlate.gov is part of an effort by The Center for Nutrition Policy and Promotion to advance and promote dietary guidance. Find USDA menu and health guidance, research, and analysis for both consumers and professionals. The site also includes podcasts and menu planners. Nutrition.gov provides newsfeeds of current government information on food and nutrition for consumers. The site also features a food calorie lookup, weight management help, and a wealth of nutrition information. The site offers comprehensive food and nutrition information, papers, publications, advocacy programs, and initiatives in health and nutrition. Find research and professional resources for students, and professionals. Discovery Health features a wealth of diet and fitness, heart health, and cancer prevention information. Read about diet myths, anti-aging, and search a database of healthy recipes. The Nifty Benefits blog discusses the health benefits of different superfoods, teas, fruits & vegetables and other healthy snacks. It’s a wonderful healthy food resource and with 2-3 new articles going up every day there is always something new. The Fruit & Veggie Guru guides you through the colorful world of fruits and vegetables. Learn about preparation, organics, recipes, and how to get your daily intake, whether it’s blueberries, beets, or bok choy. The antioxidant section of this health site offers information about the “free radical scavengers” and the Superfoods that contain them. Other sections include Women’s Nutrition and Nutrition 101. IFIC offers resources for educators, journalists and consumers. Find consumer and trend research, news on food safety, a glossary of terms, and current research about antioxidants. The American Academy of Anti-Aging Medicine is a non-profit organization dedicated to the advancement of technology to detect, prevent, and treat aging related disease. Part of the site includes the Anti-Aging Longevity News, featuring anti-aging news, which posts daily. This family-health and nutrition site features healthy information from the well-known family-health experts, authors and pediatricians. The Sears family collaborates to present health news, pediatric news, and address common questions, concerns and topics about health and nutrition. NutritionData.com is a source for clear, accessible nutritional analysis. Visitors to the site can analyze recipes and find nutritional discussions about the glycemic index, processed foods and the pros and cons of popular diets. Nutrition.Answers.com is an informative guide that covers a large variety of nutrition-related topics (from food composition to reducing illnesses to vitamins, and more).